A 30 min. walk along the trail from Saccourvielle. 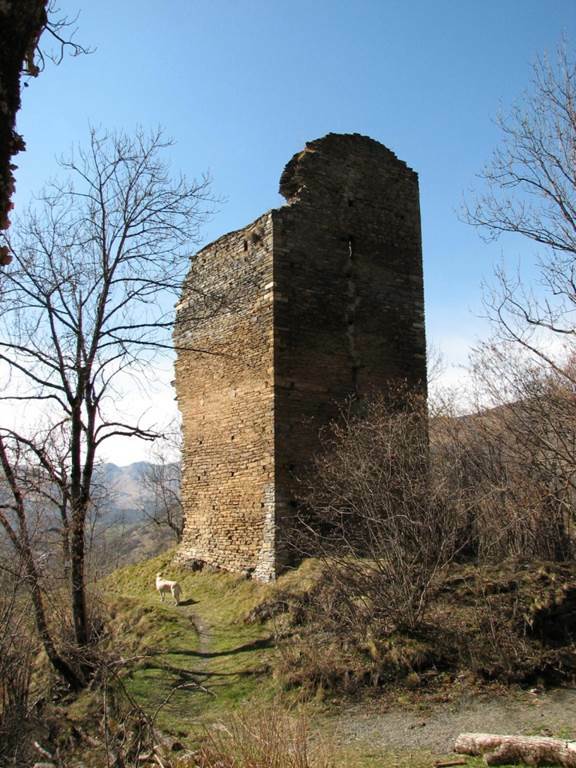 Many isolated square towers like the tower of Castel Blancat can be seen on the Pyrenean slopes of the Upper Comminges. 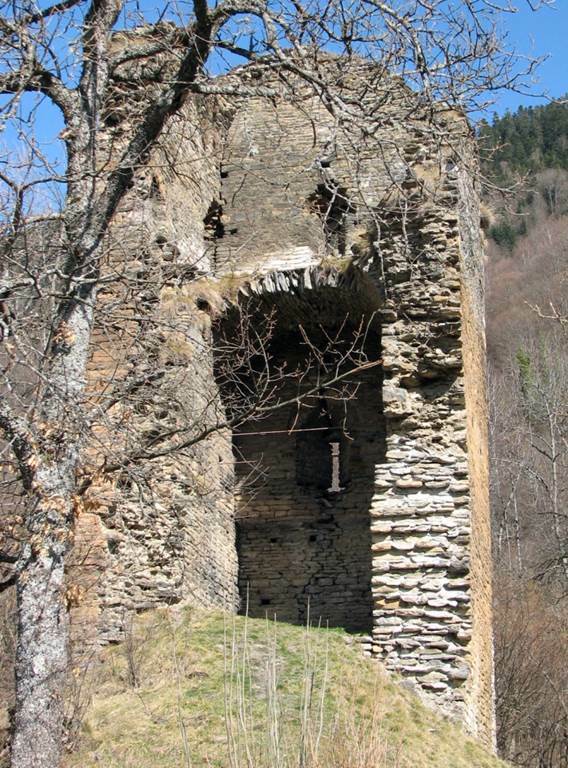 They were watchtowers, sometimes called signal towers, protecting the valleys (in this case the valleys of Oueil and Larboust) which were wealthy and had many cattle. In times of trouble, there was room for a small garrison. Where the western wall has collapsed, the inner design of the tower is clearly visible. There were four storeys topped with battlements. 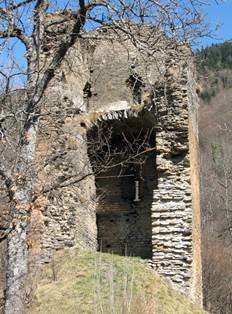 There are very few remaining examples of non-religious architecture from the Romanesque period which is why the remains of towers like Castel Blancat are of such interest.